Rabcat was founded in the year 2001 and is based in Vienna, the capital of Austria. The company specialises in superior graphic design works, and used to work for Disney Studios before starting to develop online casino games. They have a partner agreement with the South African gaming giant Microgaming, and offer their games as part of the Quickfire platform. There are currently not many games from Rabcat, but some of the most popular are Forsaken Kingdom, Castle Builder and Dragon's Myth. The games impress with outstanding graphics, fantastic features and game-play. Although the selection is still very small, the company focuses on delivering quality over quantity and every game is especially nice. You can play the games from the developer Rabcat in the online casinos mentioned in the list below. the games have innovative features and fantastic graphics. there are only slot machines available, no other games. 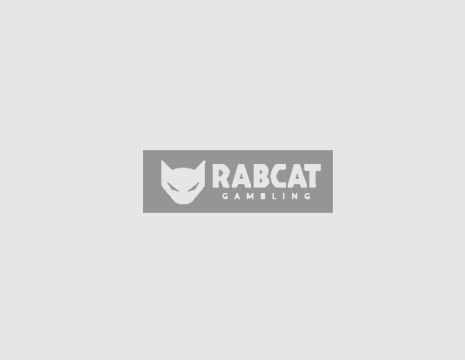 Rabcat has a gaming licence from the Isle of Man, a trustworthy European regulatory body that controls and ensures that the company follows strict guidelines to ensure that players play in a safe and fair environment. The good quality of the games and the great reputation of Rabcat and Microgaming add to the trustworthiness of the company.